Marina Bay Yacht Harbor | A great location on the Bay! Welcome to Marina Bay Yacht Harbor! A great location on the Bay! 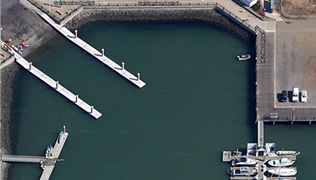 Marina Bay Yacht Harbor in the San Francisco area gives boaters and yacht owners a safe and comfortable place to dock their vessel. With beautiful views of Downtown San Francisco, Oakland, Marina Bay, and the entire San Francisco Bay area, our marina has several available boat slips to suit all your needs! Marina Bay Yacht Harbor can accommodate up to 850 vessels from 20’ to 120’ long. Contact our marina, and find out how you can rent one of our berths for your boat! 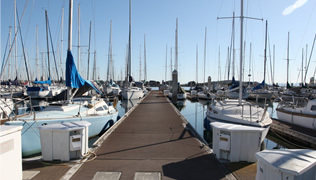 From adventurous sailors to San Francisco weekend cruisers, Marina Bay Yacht Harbor has a boat slip to meet your needs. 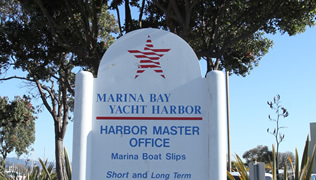 Our marina’s location in the East Bay means you’ll be close to everything on San Francisco Bay. A deep draft harbor gives you easy access to Central Bay, San Pablo Bay and the Delta, San Francisco, and the Pacific. Experience luxury marina amenities, great views, a perfect location, and more at Marina Bay Yacht Harbor! Marina Bay Yacht Harbor offers a variety of amenities to meet the needs of our marina guests. In our photo gallery, you can explore our marina. Docking at Marina Bay means you’ll be able to take advantage of free wi-fi, well maintained restrooms and showers, shore-side storage units, laundry facilities, free pump-out stations, launch ramp & boat wash area, and more! Take a break at one of the nearby restaurants in our neighborhood, or just enjoy the parks surrounding of our beautiful facility. Check us out today, and see what berthing your boat at Marina Bay has to offer!